7:1 The reparation offering. What is that? Last week we talked about violation of a prohibition where the act was inadvertent. Here the implication is that the sin was intentional. This has to do with fixing the harm that was done and then doing this sacrifice. If reparation has been made to the individual harmed why is there a sacrifice as well? To mend one’s relationship with God. “This is most holy.” To be “holy” means to be separated out from everything else. Like the Torah scrolls that are concealed in the ark and only brought out for ritual reading. JB: But isn’t it the words that are holy? PG: The term “kadosh” indicates that the object is intrinsically holy whereas “kodesh” refers to carrying holiness. What is the significance of dashing the blood on the altar? Note that blood is not to be consumed and should be avoided. There is a relationship between beauty and ethical good that is a subtext here. Before the 18th C. they were directly related. There may have been an aesthetic reason for abhorrence of blood. CL: In ancient contemporary societies it was common for the priests to eat what was sacrificed. PG: Some scholars argue that much of this was written as a form of scribal art and training. Accordingly, some of the oral tradition was never written down. The result is that the Torah is schematic. 7:7 The reparation offering is like the purgation offering. Again, the offering is consumed by the priest. Remember that most meals for the average person were bread and water. Grains were hardier and easier to store. MS: There must have been many priests. PG: Some of them operated from local sacrificial sites. Once everything became centralized things changed. You didn’t have to transport the animal a distance – you could bring money and buy an animal. 7:11 The sacrifice of well being. Here there is reference to “thanksgiving” which is the predecessor to the Pilgrim notion. The Reformation meant a return to the old testament and a rejection of religious authority from Rome. Also, it is the Torah that teaches the organization of society – something that the Pilgrims and the Founding Fathers were very focused on. Sunday as “the Lord’s day” was a Protestant innovation. There is a religious movement arguing that Saturday is the Lord’s day – the 7th Day Adventists. 7:16 A votive or free will offering. Note that one cannot consume a sacrifice after the time to do so has expired. It has to be eaten the same day – or the following day at latest. There is a health relationship here but the priest is not a doctor. The meat could have been smoked or salted it they really wanted to preserve the meat. 7:19 Flesh that touches anything impure shall not be eaten. One who violates this injunction shall “be cut off from kin.” This is understood as requiring a separation for purposes of re-purification. Note that fish are not sacrificed because they die immediately upon being caught. Ritual killing is an intrinsic part of the ritual of sacrifice. Also, only domesticated animals were sacrificed. One could not sacrifice something one did not own. 7:22 You shall eat no fat of ox, or sheep or goat… or you shall be cut off from kin, Also, again one who eats blood shall be cut off from kin and need to be repurified. 7:28 The offering from a sacrifice of well being… the breast shall be elevated and distributed to Aaron’s sons. Why the right thigh but not the left? No one really knows – there may be a mystical aspect here. A violation causes a tear in the universe that must be repaired. The repair must be done just right – hence all of these details. Thoreau, upon seeing a stone wall collapse due to repeated rains, saw a metaphor for the inevitability of decay. We cannot rely on appearances of well being. Consider the concept of “tara neshek” – the greater responsibility that is fundamental in the Israeli army. The greater the rank the greater the responsibility – so one must physically lead rather than merely direct troops. See the essay by Meir Palil in Modern Jewish Ethics edited by Marvin Fox and published in 1974. Rabbi wrote an essay “The More Things Change” that is posted on the website. 7:35 The prerequisites of Aaron and his sons once they have been anointed. The prophetic readings tend not to have repetitions. The suggestion here is that any form of creativity or personal expression won’t actually work and the instructions must be followed precisely. Is the odor pleasing to the population present or a pleasing odor to God? Scripture is filled with anthropomorphic references to God – a warrior, an ancient sage and a woman. The rabbi’s reason that our understanding is limited by human language which cannot exactly describe the abstract and elusive character of God. Philosophers of the Middle Ages rejected all of these descriptions and instead described God as “wholly other.” But then how do we experience God – what makes for A connection that we can comprehend? Clearly the Torah is not a systematic philosophical text. LL: It is a series of teachings conveyed via stories that can be interpreted in a number of ways. The process of engagement is the critical factor . 31: 17 The fat and the blood belong to God. Once meat is slaughtered it has to be leached out with salt to remove the last vestiges of blood. Hence the use of kosher salt. 4:1 A priest who unwittingly incurs guilt shall make the sacrifice described. Note that the Talmud says that expiation can be achieved by confession. How can an observer know if a misdeed is intentional or unwitting? Generally, they cannot. But God, the suggestion is, knows. As does the sinner. Consider John Knowles “A Separate Peace.” Knowles never tells the reader if the misconduct by the narrator was intentional or accidental. Here we are talking about a community issue – an infraction that has ramifications within the community. Absolution must therefore be public – unlike sins which are confessed privately to a priest and are “salved” via prayer. CL: Frequently it is possible to divine intentions by appearances – premeditation via acts that preceded the misconduct. Here we have seen that a leader in society, here a priest, make take responsibility for his mistakes. Students love writing on classroom whiteboards after class, and what they write can serve as a uniquely unfiltered window into what they are thinking. 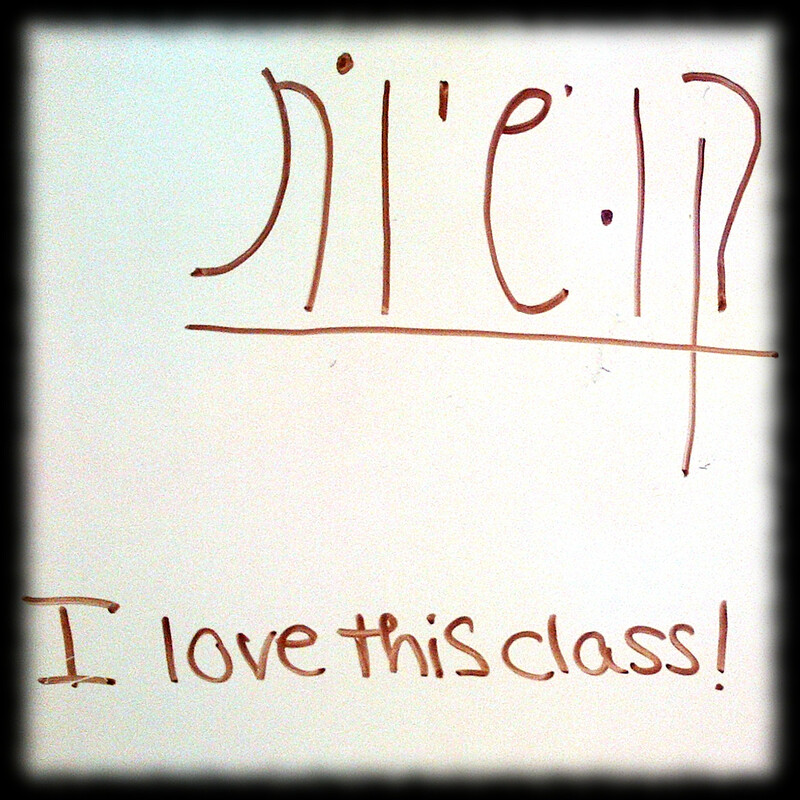 This is why I was so delighted to find the words “I love this class!” under the Hebrew word for “questions,” both the Hebrew and English left over from Wednesday’s Hebrew class about Passover. For us, it’s not enough for the students just to learn Hebrew. We want them to learn to love it. It takes a lot of work and planning, so it’s all the more gratifying when we find this kind of anonymous tribute. At this year’s Shabbaton with Vassar Temple and Temple Beth-El we had an extraordinary leader, thinker, and speaker – Rabbi Uri Regev, Esg., President & CEO of Hiddush. Hiddush is a non-profit organization dedicated to religious freedom and equality, focused primarily on Israel. 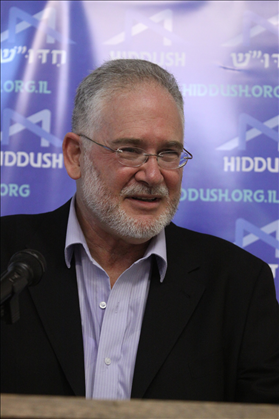 Here you can read about the vision of Rabbi Regev and Hiddush. Rabbi Regev spoke to both congregations, on Friday evening at Vassar and on Saturday at Beth-El, and was warmly received. He provided liturgical, historical, political and cultural basis for the change that is needed in Israel so that Reform and Conservative Jews can enjoy the right to have a religious marriage ceremony honored. Israel is the only democracy in the world that limits the rights of free marriage. American Jews have proven that they can influence change, and Hiddush which has successfully championed the rights of Reform and Conservative Jews in the Courts in Israel, needs the support of American Jewry to influence the leadership in Israel. This Israeli news series demonstrates the urgency and centrality of freedom of marriage to Israelis. 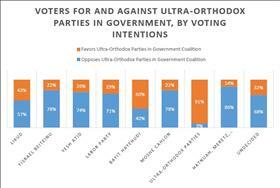 What Hiddush is finding, through polls and research, is that there is broad Israeli desire for international support for their cause of marriage freedom. Click here for result of a poll release in 2014 by Hiddush. You can learn much more and support the vision and purpose of Hiddush by going to http://www.hiddush.org. One simple way of supporting Hiddush is to sign Hiddush’s Vision statement. The Shabbaton’s with Vassar Temple and Temple Beth-El are a wonderful way in which our temples collaborate. While our rituals and buildings have their differences, we are united in friendship, love of Judaism, and our strong history in the greater Poughkeepsie area. It is a delightful experience and we must thank Rabbi Golomb and Rabbi Barnett, the temple leadership, and the congregants for another tremendous Shabbaton. Yahser Koach! p. 565 Continues the story of Moses and his return to the top of the mountain – where he learns of the construction of the tabernacle, including the tent of meeting etc. This section addresses the dress of the priests and their investiture. 28:31 You shall make the robe of the ephod of pure blue. What is the meaning of the phrase “…that he shall not die?” This sounds like belling the cat – a method by which the person announces their presence. There is evidence of this in other ancient cultures – a method of dispelling evil spirits. Consider the word Pasach. One of those words that have two meanings: lively jumping and immobility. Hence, God is leaping over the houses of the Israelites while at the same time “standing fast” guarding the houses of Israelites while an evil spirit takes the lives of the Egyptian first born. There it is explicit that there is a supernatural being(s) other than God. Here the bells make sense in terms of chasing away the evil spirits. Note the pomegranate shape of the embroidery. This is a distinctive shape and the pomegranate is filled with seeds. The crowns on the top of the torah scrolls are pomegranates. The scrolls are dressed in the garb of a priest.